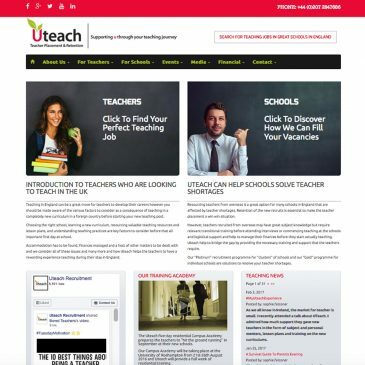 Uteach Ltd. A Teacher recruitment company based in Scotland, with offices in Canada, Ireland, Spain and London. Uteach required total corporate branding with a recruitment CMS website design in multiple languages, targeting many countries. Design Glasgow set up and managed a PPC campaign and comprehensive SEO and digital marketing. Using Google AdWords, Indeed and all forms of social media.